Detroit has had its share of legendary drummers, with a long list that covers many decades and includes such luminaries and style makers as Elvin Jones, Roy Brooks, Louis Hayes, J.C. Heard, Don Moye, Ali Jackson, Pheeroan akLaff, Frank Isola, Art Mardigan, Tani Tabbal and many others. Some current Detroit drummers who are making their “mark” on an international scale include Nate Winn, Karriem Riggins, Gayelynn McKinney, Leonard King, Alex White, Djallo Djakate, Mahindi Masai, Renell Gonzalves, Jessie Kramer, Gerald Cleaver, and the multi-award winning Sean Dobbins who performs with his band, “The Modern Jazz Messengers” at the Dirty Dog Jazz Cafe Wednesday May 8th, through Saturday, May 11th. Dobbins lists the following drummers, among those who have had a major influence on his playing: these include Art Blakey, Jeff “Tain” Watts and Elvin Jones. Detroit Music Factory recording artist, Sean Dobbins, is one of the most “sought after” drummers performing today. He’s performed with such Jazz notables as Dr. Lonnie Smith, Johnny O’Neal, Cyrus Chestnut, James “Blood” Ulmer, Benny Golson,and many others. 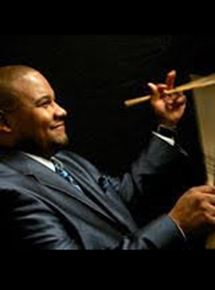 He’s also one of the top Jazz educators in this region and is on the faculties at the University of Michigan, Oakland University and Wayne State University. 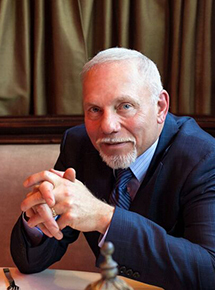 He also serves as the Artistic Director of Jazz Ensembles for the Detroit Symphony and is the Executive Artistic Director of the South Eastern Music Academy. The Dirty Dog is also presenting other talented drummers in the coming weeks. 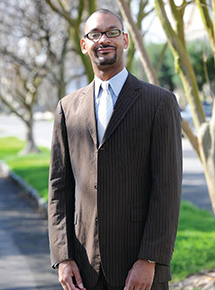 These include Willie Jones III April 26 and 27th, and Jeff Canady, May 29-June 1. For information and to make reservations for Sean Dobbins and other upcoming performances at the Dirty Dog Jazz Café, call 313-882-5299 or go to DirtyDogJazz.com. Detroit Public Radio mainstay, Judy Adams, is a trained pianist, composer and musicologist. Of all of the Jazz styles, Bebop remains as one of the most sophisticated both in its structure and intricate improvisational forms. 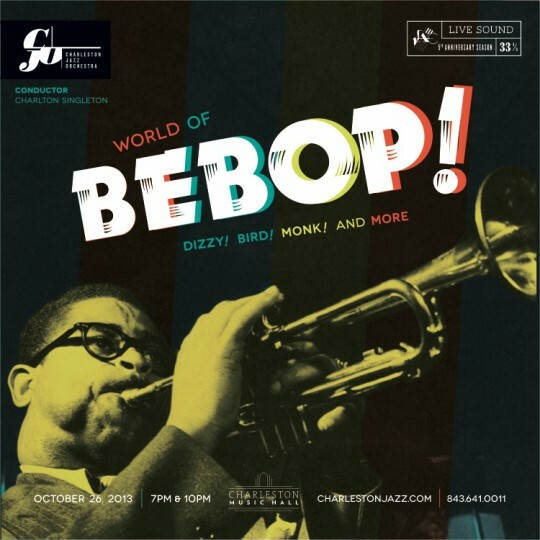 It has had lasting effect on modern Jazz since its early development in the 1940s and there haven’t been very many Jazz performances since that haven’t included elements of Bebop in one way or another. Its impact was profound. It revolutionized Jazz for the ensuing decades – up until the present day. The development of Bebop was a major turning point in Jazz. It emerged as younger musicians were breaking away from the popular, dance driven, Big Band music, which had dominated Jazz since the late 1920’s. It signaled the dawn of modern Jazz – influencing new directions in Jazz and non-Jazz styles that emerged during the second half of the 20th century and even into the 21st century from Jump Music and Rock and Roll to Post-Bop, Avant-garde, Hip hop and more. Miles Davis once said, “You can tell the history of Jazz in four words: Louis Armstrong. Charlie Parker”. Armstrong was a foundational figure who influenced the seminal styles of Jazz during its first 50 years and Parker took it from there. 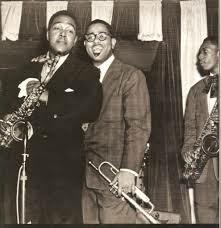 Bebop’s star players and creators not only include Charlie Parker, but Dizzy Gillespie, Max Roach, Miles Davis, Thelonious Monk, Kenny Clarke, Max Roach and others. Listen to any recordings from the 40s or 50s from these artists for an authentic Bebop experience. The music is also known for group interaction through complex forms of improvisation while exploring rhythmic accents, manipulating scales with dense phrasing. It’s harmonically daring with band members weaving intricate patterns of notes at break neck speeds, many times in unison, while keeping the music accessible on most levels. Bebop was still the hippest and most intellectual music of its time and a favorite of the beat generation. Looking back, and into the future, we can only respect the genre for its historical significance, fearless attitude, brilliant artists and sophisticated content. “Bebop was a label that certain journalists later gave it, but we never labeled the music. It was just modern music, we would call it. 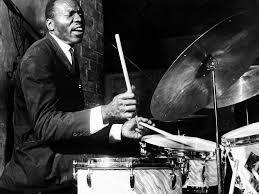 We wouldn’t call it anything, really, just music.” A statement by drummer Kenny Clarke. Bebop’s lasting effect can still be heard in much of the Jazz being performed around the world today. Musicians who play the Dirty Dog Jazz Cafe often play the genre straight up or use Bebop related elements and improvisation techniques in their performance. Listen for it the next time you are there. As a service to our Jazz Notes readers, we are sharing the initial line-up of performers for this year’s Detroit Jazz Festival which is celebrating it’s 40 anniversary! 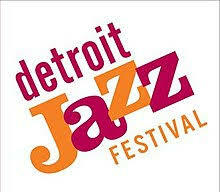 Here are excerpts from the Detroit Jazz Festival Foundation’s press release from this past week. “We’re really excited about the exceptional lineup put together for the 40th year celebration which reflects a reunion of some of the most inspiring performers and performances we’ve had the pleasure of hosting over the last 10 years at the Jazz festival,” said Chris Collins, president and artistic director of the Detroit Jazz Festival Foundation. 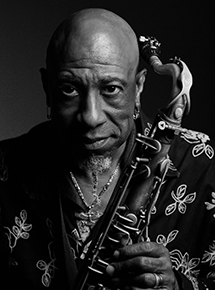 This includes a real treat as former Artists-in-Residence Ron Carter, Pat Metheny, Joshua Redman, Danilio Pérez and Terence Blanchard will also take a stage for the Festival. Below is an initial look at this year’s Festival lineup! What a list! One of the world’s great music centers, Metro-Detroit, has been the home of so many important musical artists over the years representing several genres. The multi-talented Thad Jones was a member of the musical Jones family from Pontiac, Michigan which also included two other Jazz Greats: Pianist, composer Hank Jones and iconic drummer, Elvin Jones. Thaddeus Joseph Jones was born March 28, 1923, and died in Copenhagen, Denmark August 20, 1986. He was known all over the world as a Jazz composer, arranger, bandleader, as well as a virtuoso trumpet and flugelhorn player, and cornetist. 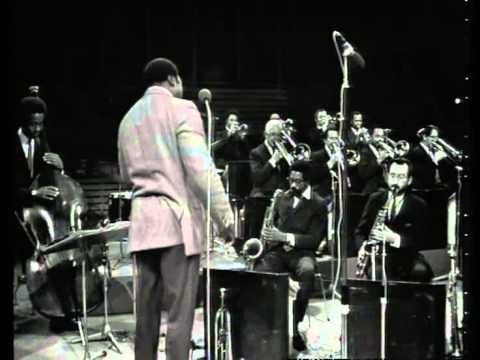 His amazing career spanned more than sixty years and associated him with such bands and orchestras as those led by some of the most influential and well-respected bands in Jazz including Count Basie, Herbie Hancock, Thelonious Monk and his own highly revered Thad Jones/ Mel Lewis Orchestra. In January 1979, Thad Jones suddenly moved to Copenhagen, Denmark, where several other U.S. jazz musicians had gone to live as expatriates. 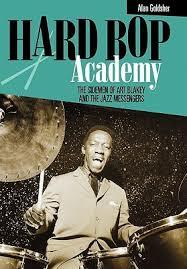 There he became the leader of The Danish Radio Big Band which he transformed into one of the world’s best Jazz bands. We recently discussed in our blog how many Jazz artists have moved to Europe where they felt the music received more respect and financial support. Thad Jones was an extremely prolific artist and recorded more than 24 albums with Count Basie’s orchestra as well as recording four LPs with his younger brother Elvin Jones and one with his older brother, Hank Jones. Other leading artists he played and recorded with during his impressive career included Lou Donaldson, Dexter Gordon, Coleman Hawkins, Milt Jackson, and many others. Thad Jones also recorded for such major Jazz labels as A&M, Blue Note, Debut and others. 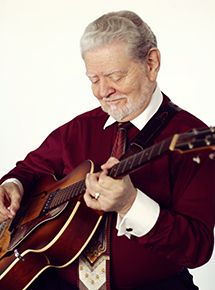 Legendary Guitarist, composer and educator, Ron English, has been a major figure in Detroit’s contemporary Jazz scene since the late 1960’s. Since the beginning of this year he became a permanent fixture with a new role at the Dirty Dog each and every Tuesday night leading his band for a night of excellent live Jazz. Drawing on his many years as a multi-talented Jazz performer, and session musician where he toured and performed with Motown and other artists for many years, he brings us music from a variety of Jazz styles from classic Jazz to the blues, funk, Soul Jazz, Gospel and everything in between. He’s also known for his work with world renowned avant-garde 70’s era, Detroit label/brand Strata records as a performer and producer, and the well-respected Detroit Artist’s Workshop. He is now the purveyor of the Dirty Dog’s very popular Tuesday night Jazz scene. He’s taking over from retiring band leader and pianist Charles Boles, who he played guitar with for seven years when Boles held the leadership position at the Dirty Dog where they reigned for nearly a decade after following in the footsteps of the late Bluesman, Johnny Bassett. During his career, Charles Boles shared the stage and studio with such legendary figures as Etta James, Aretha Franklin, Marvin Gaye, Lou Rawls, B.B. King, and others. 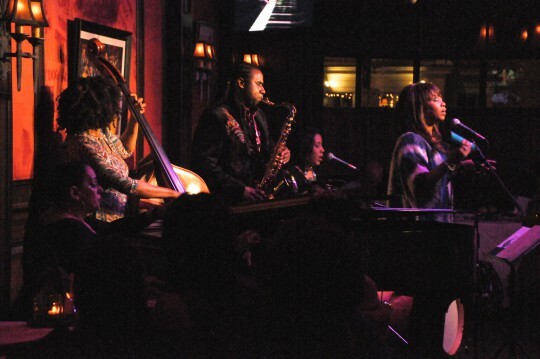 These artists helped create a special cozy Jazz scene on Tuesdays where it’s filled with a DDJC crowd of regulars, who just about sell the place out each week as they make new friends while enjoying a fine menu of superb live Jazz and excellent food. For his band, Ron English, continues the tradition and has surrounded himself with some of Detroit’s best, including bass players Jeff Pedraz or Jaribu Shahid, Renell Gonsalves on drums and James Hughes on alto and tenor saxophone. 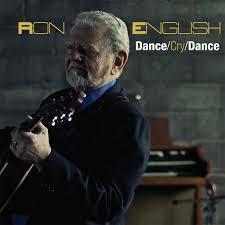 Don’t forget to check out Ron English’s new album on Detroit Music Factory records “Dance Cry Dance”. Straight Ahead performing at the Dirty Dog Jazz Cafe. They’ll be back in April! Jazz is so creative and diverse the performance medium comes in all shapes and sizes. As our blog has discussed in the past, there are Jazz combos, Jazz orchestras, Jazz trios, quartets and even nonets. Some consist of just a few musicians and some are large ensembles of 50 or more. Whatever the music calls for, the musicians will fill the roles. 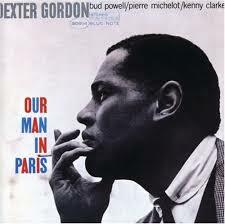 The size of the group coincides with the composer’s score and vision as well as the type of Jazz that is being played. The larger ensembles frequently play Big Band or orchestral Jazz requiring the music to be more structured and often written out into a score or charts and sometimes even utilizing a band leader. The smaller groups, on the other hand, play a more intimate style of Jazz allowing for more improvisation and interplay among the musicians. At the core of most Jazz groups, regardless of size, is the rhythm section, which consists of piano (or other keyboards), bass and drums. This is also a stand-alone performance configuration that is otherwise known as a Jazz combo or Jazz trio. A basic Jazz combo or rhythm section is the foundation of most Jazz ensembles. It provides the three essential ingredients of the music: harmony, melody and rhythm. The keyboard actually supports all three elements with the bass establishing the chordal roots of the harmonic structure as well as supporting the rhythmic patterns of the drums, which supply the basic beats and pulse. The Dirty Dog Jazz Cafe hosts many different types of Jazz ensembles from the big band sounds of R.J. Spangler’s Planet D Nonet to the Gary Shunk Trio. Coming soon to the Dirty Dog Jazz Cafe is a group that exemplifies the creative potential of the medium-size Jazz combo. They are a perfect example of a basic trio/rhythm section with a vocal and saxophone soloist. They are Detroit’s Grammy-nominated, “Straight Ahead”, and will perform in late April. For details call 313-882-5299. Current lineup includes founding members, Marion Hayden on bass, Alina Moore on piano, Regina Carter on violin and Gayelynn McKinney on drums. They are joined by Kymberli Wright on vocals and a special guest Yancyy on saxophone. Catch them if you can! The award-winning Detroit-based label Mack Avenue records has a world-wide reputation for courting major artists and up and coming talent which is evident with these two musicians. Grammy award winning Julian Lage is considered one of the most virtuosic guitarists and composers in contemporary Jazz. He shares his fascination with various current and historical American musical traditions from Jazz and Blues to Folk, and Bluegrass – all played within an approach that includes creative aspects of improvisational/ musical free association. He does this with amazing technique and an original style. 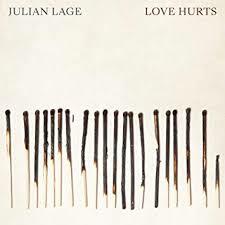 Julian Lage plays a mix of originals plus a diverse mix of music by Keith Jarrett, Ornette Coleman, Roy Orbison and others.This third album from Lage on Mack Avenue features his trio with bassist Jorge Roeder and drummer Dave King known for his work with the Bad Plus. Release date world-wide is Feb. 22. Joey DeFrancesco is at the top of the list of favorites for fans of organ Jazz. This veteran player’s music is categorized as Jazz just as Julien Lage’s is, but their styles couldn’t be more different which shows us how broad the Jazz umbrella is to hold such a diverse musical platform that encompasses so many styles and periods. In this album, Joey shows us his spiritual side. Joey DeFrancesco’s new album is called “In The Key of the Universe” and reflects the artist’s respect for the contributions of the early leaders of the free Jazz movement of the 1950’s-1970’s led by people such as Sun Ra, John Coltrane, Pharoah Sanders and many others. Joey and the band even cover the free Jazz anthem, “The Creator Has a Master Plan”, composed by Pharoah Sanders and Leon Thomas. On top of that he selected saxophonist/vocalist Pharoah Sanders to be in the band along with other other top artists including Billy Hart, drums, Sammy Figueroa on percussion and Troy Roberts on saxophone and bass. It’s an allstar lineup to say the least. The official release date is March 1, 2019. Organ Jazz fans take note that the Dirty Dog presents organist Gerard Gibbs Feb. 27-March 2. 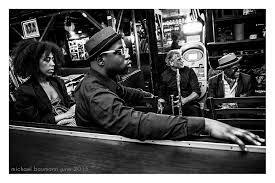 Gibbs plays piano, Hammond B-3 organ and keyboards for saxophonist James Carter and tours with him both nationally and internationally. He also leads his own keyboard Jazz quartet and Hammond organ Jazz trio. Gibbs did such a great job pleasing the crowd at the Dirty Dog last fall they’ve invited him back again. 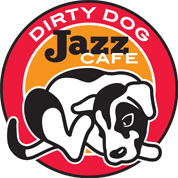 For more information contact the Dirty Dog Jazz cafe at 313-882-5299 or go to their website, dirtydogjazz.com. Detroit Public Radio mainstay, Judy Adams, is a pianist, composer and musicologist who hosts a Jazz and contemporary music show on CJAM 99.1FM and guest hosts on WRCJ 90.9FM. She made her mark at WDET 101.9FM (NPR), where she was Director of Programming and daily on-air music host for more than 30 years. The Dirty Dog Jazz Cafe brings us two great Detroit based trumpeters in the coming weeks, Anthony Stanco, February 13-16 and Rayse Biggs March 20-23. As the loudest and highest pitched member of the brass family, the trumpet often takes the lead voice in an ensemble. It dates back to around 2000 B.C. and evidence of early trumpet type instruments has been found on virtually every continent. The trumpet has played a prominent role in Jazz throughout its history. It’s bright, exuberant sound has made it one of the most well-loved instruments used in Jazz since the beginning of the art form when most instruments were portable as they were an important part of marching bands used in gatherings such as parades and other processions. From the late 1890’s to the mid-1920’s the trumpet led the band lineup which also included cornet, clarinet, trombone, banjo, bass, and tuba and only occasionally the saxophone which rose to prominence after the advent of the big band and swing era. Some of the music’s most important artists have been trumpeters including early Jazz pioneers King Oliver, and Louis Armstrong. The multi-faceted trumpeter/composer Miles Davis had a major influence on Jazz for five decades which included the founding of Be Bop in the 1940’s along with trumpeter Dizzy Gillespie who also helped create Latin Jazz. For more than 30 years, award winning trumpeter Wynton Marsalis has been one of today’s top Jazz performers and has devoted his career to promoting the music to both Classical and Jazz audiences worldwide. A short list of other significant Jazz trumpeters who made their mark over the years includes Clifford Brown, Lee Morgan, Freddie Hubbard, Bix Biederbecke, Chet Baker, Maynard Ferguson, Quincy Jones, Woody Shaw, Clark Terry, Hugh Masekela, Lester Bowie, Roy Eldridge, the recently deceased Roy Hargrove, as well as Detroiters Donald Byrd, Lonnie Hillyer, Marcus Belgrave and Howard McGhee and Pontiac’s Thad Jones to name a few. World renowned Trumpeter and educator Marcus Belgrave came to Rayse Biggs’ junior high school in 1969 and later became a mentor to Mr. Biggs. Soon after he utilized his many talents and went on many impressive tours with a number of Motown groups such as Smokey Robinson, the Marvelettes and the Temptations. Since then his talents and musical travels have taken him far and wide to such distant places as Senegal and elsewhere around the globe, performing with the likes of Kem, Was Not Was, The Dramatics, Kidd Rock, Bob Dylan, Recloose and many others. 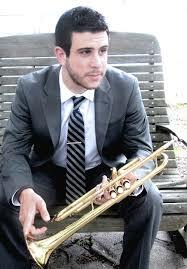 Anthony Stanco has done his share of traveling with Jazz. I first met him and heard him play about 10 years ago when he was performing in the Jazz Discovery series I produced at the Music Hall. The series showcased young, newly emerging Jazz talent from around the region. He showed his many musical talents early on; having started playing in fifth grade. 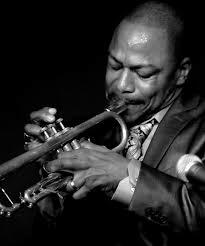 He then joined the Detroit Symphony’s Civic Jazz Orchestra under the direction of Marcus Belgrave and Rodney Whitaker. Soon Stanco started playing professionally while in high school. He was then accepted by the prestigious Manhattan School of Music for his college education and musical advancement. Currently, Anthony is proud to represent the government’s Bureau of Education and Cultural Affairs. “Anthony Stanco and The Crucial Elements” have done two international tours with American Music Abroad. On tour they partake in cultural exchange, masterclasses, and live concerts. 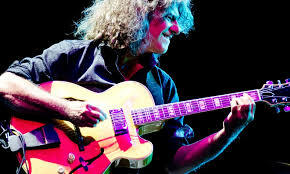 Hearing him play is a real treat as he combines his love of and deep feeling for the music with his flawless interpretations of the art form we call Jazz. Is listening to Jazz a private or shared experience? Communal music experiences have been around since the beginning of time and continue to exist in improvisational forms today such as Jazz, Folk, Contemporary Classical, Dance and World music, Hip Hop and other contemporary forms. However, except for these genre and live concerts, most of today’s music tends to be “personal” and not a shared experience. In the past 100 years or so we’ve witnessed a dramatic change in how we hear music. 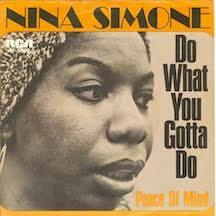 With the advent of radio, television, records, the internet, CDs, MP3s, You Tube, ITunes, etc. we have more choices than ever before. 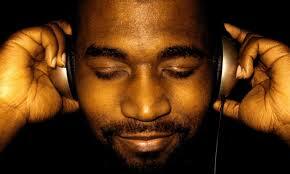 At the same time the listening experience has become more detached and desensitized. It is more private and less of a group experience that usually brought people together. These new devices bring us sounds – but they are still artificial copies of the real thing. Live music is a uniquely personal and shared experience that can be meditative, and enriching in ways that can’t be felt with a recording. It allows the listeners to pick up on the natural overtones of the instruments, feel the artist’s emotions and watch how the music is being made in real time. Listeners in a live audience share a communal experience with each other and with the musicians on stage with the energy flowing both ways as the musicians “play off the audience” sensing their emotional and physical reactions as well. As we have pointed out many times in “Jazz Notes”, all music was live, in all of human history, until the last one hundred years or so. Admittedly, new personal digital file formats that are dominating the listening choices, are creating mostly private and not shared experiences. Is listening to Jazz a private or communal experience? Or is it both? I think it is both because Jazz is often heard live and is an improvisational music genre both lending themselves to listeners and the performers engaging in a shared communal experience which has become a rare musical treat in today’s highly technical world. Jazz is also enjoyed on recordings by many of its fans.